Congratulaiotns to Kelsey Brew for being Class of 2019 Valedictorian! Also, congratulations to Aaron Patterosn for being Class of 2019 Salutatorian! We are so proud of you, and happy for you! DECA wishes to congratulate graduating senior, Kelsey Brew, on having the highest SAT score of the Class of 2019! 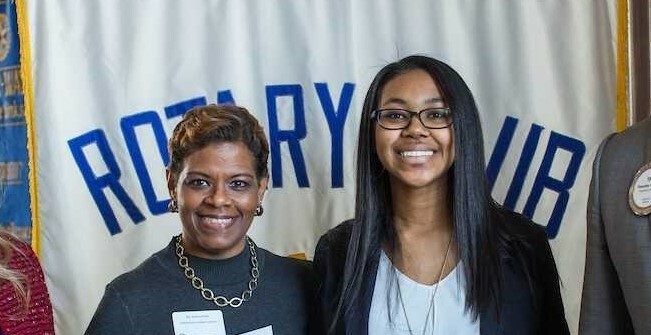 Kelsey, along with her fellow STAR Students from other schools in the county, was recently recognized by the Decatur Rotary Club for this accomplishment! Kelsey is pictured with her STAR Teacher, Ms. Amelia Knight from Shadow Rock Elementary School and members of the Decatur Rotary Club. Way to go, Kelsey, we are PROUD of you!!! Important dates for Class of 2019! Please click here for important information and dates for The Class of 2019. 2018-2019 YEARBOOK ANNOUNCEMENT: How do I upload photos to the yearbook? Where do I buy a senior ad? Where can freshmen and sophomores order a yearbook? Where can I find directions to submit my senior quote? When's the deadline for all this yearbook stuff? The answer to all your yearbook questions can be found here-- check the site early and often, as information will be added and updated as the year goes on.